Does a Landlord Need to Pay an Agent Fee Upon Renewal of a Tenancy Agreement? Finding a qualified tenant is something that a real estate agent can do for you. To compensate the agent, you will be charged a fee after your tenant signs a lease. However, if the tenant renews the lease, the agent may be due another fee. It depends on the contract that you signed with the agent and the duties that the agent is required to perform. Investing in real estate is more than just being able to afford to buy homes, apartments or commercial buildings. You need to make sure that you can keep them occupied. Real estate agents and property managers are leasing professionals who find you tenants for a fee. Time and expense are incurred for advertising, showing the unit, making it ready and signing the lease. The leasing agent also ensures that a thorough background screening is performed on all rental applicants. Leasing agent fees vary from company to company. 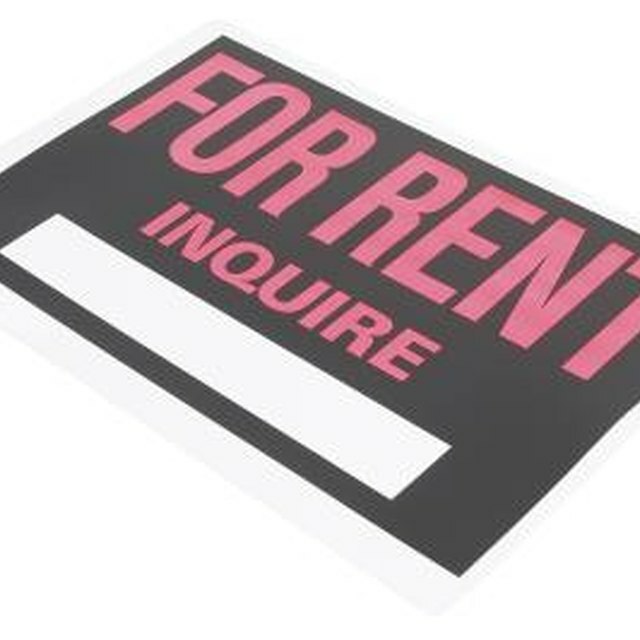 The initial charge for leasing a unit is usually 25 to 100 percent of the first month's rent. If the manager continues, then a smaller fee will be taken from each month's rent. The amount depends on the agency and the number of units being managed. When it's time for the lease term to expire, your leasing agent will charge a fee upon the renewal of the tenancy agreement with the existing occupant. This can be as much as the initial fee for finding a tenant or may be reduced since the same amount of time, effort and expenses are not involved. A tenant's agent is hired to represent the tenant in lease negotiations. Tenant agents are used more in some areas of the country than in others and may be paid from part of the listing agent's commission, by the landlord or by the tenant, depending on the agreement with each party. For renewal of leases, the landlord may pay the agent fees to the tenant's representation because, in a down market, the landlord fears that the agent may encourage the tenant to move to a different location. The agent leasing fee should not be the overriding factor in deciding who to use to rent out your property. Call references and look at extra charges, such as paying a commission on vacant units, when choosing who to use. Before signing the contract with your agent, negotiate to remove or reduce the tenant renewal fees. Alternatively, if you have the time and expertise, manage your properties by yourself or use a landlord agent only to find, screen and place tenants. That way, if the tenant renews, you will not be under contract with an agent at the time and will not be obligated to pay the renewal of tenancy fee. CSI Consultants: Who Pays the Broker?